Home/Buy Scentsy, Scentsy, Scentsy Bar, Scentsy Consultant, Scentsy Products/Was Scentsy on Back to the Future? Scentsy on Back to the Future? The Scentsy we know today, a recognized fragrance leader and innovative producer of quality ceramic, glass, and other styles of Warmers, Diffusers, Scentsy Buddies, and other scent-throw products, wasn’t always as well-known as it is today. And certainly wasn’t well-known back in the 80’s when Back to the Future 2 was being filmed since Scentsy the company was launched in 2004. Which begs the question how is it that a Scentsy Warmer was spotted in a frozen frame in the future kitchen of Marty McFly? 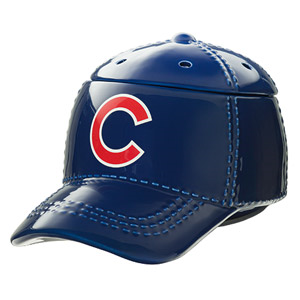 The Scentsy Warmer spotted in the clip shown above is the Officially Licensed Scentsy Chicago Cubs Warmer. 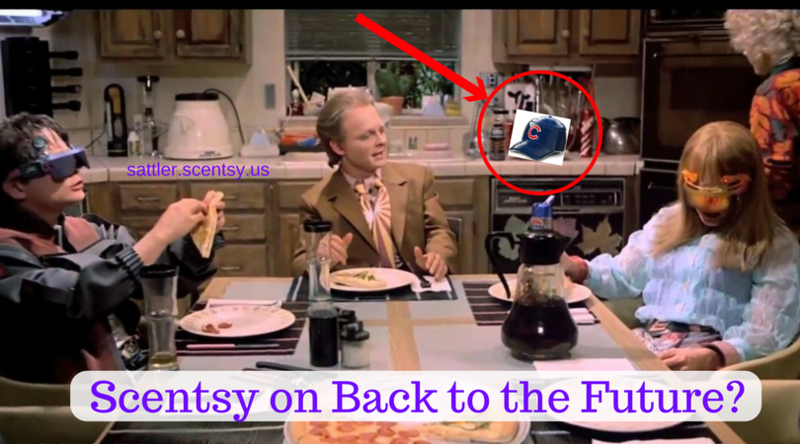 This Scentsy Warmer, nor any of the officially licensed professional baseball licensed Scentsy Warmers were even a thought in the 1980’s when Back to the Future was being filmed so it is quite odd that it would show up in the movie. 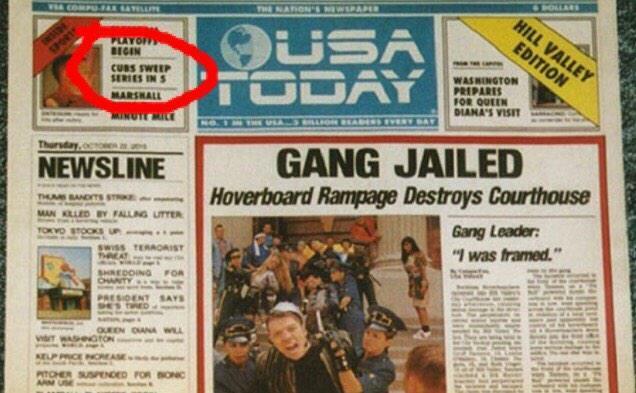 Interestingly, you may remember that the newspaper headline Marty reads from the paper in the future – “Cubs Sweep Series in 5”. Apparently the directors of Back to the Future were fans of both the Chicago Cubs and safe, wickless candle products that can scent your entire home AND allow you to show your support of your favorite baseball team! Scentsy Professional Baseball Warmers are great gifts for Fathers Day which is probably why it was in the McFly’s kitchen and it was apparently soon after the Cubbies swept the series in 5 games so they must have just been using it when friends came to watch the game. 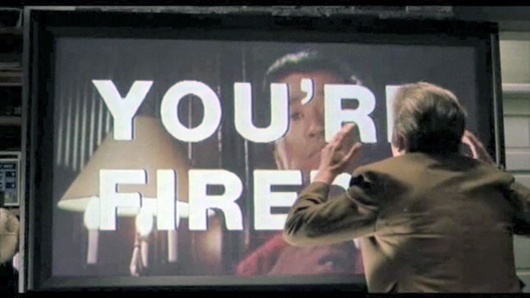 Now, what we didn’t see in Back to the Future 2 was what Marty chose to do after he got Fired! They had to Buy Scentsy from somewhere and it’s likely that it was a good friend, but who knows, maybe that good friend had talked with Lorraine before about becoming a Scentsy Consultant and now that Marty is quite obviously Fired she thinks it’s time to give it a whirl! Who knows Marty could have became a Scentsy Consultant! Imagine floating Scentsy warmers, hoverboard style, and a Scentsy Warmer in the shape of the DeLorean or the flex capacitor. I’m guessing that with Lorraine by his side, the two would be quite the dynamic duo and earn Scentsy incentive trips and finally get out from under the thumb of Biff! Based on the pricing of the milkshakes in the 80’s cafe, $99 to join Scentsy would be a great deal! And actually, I don’t know if I see Marty signing up, he’s just not a very confident guy, especially after he gets canned but I do see Lorraine taking $99 from a secret stash she had been setting aside and signing up under a friend and bringing Marty into it. 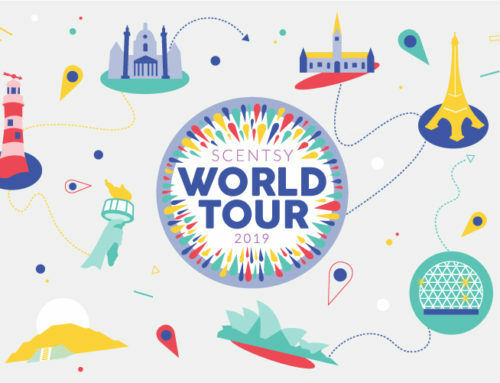 It would probably take Lorraine earning a free trip or being able to buy Marty his own hoverboard that would really get him excited to join as a Scentsy Consultant.